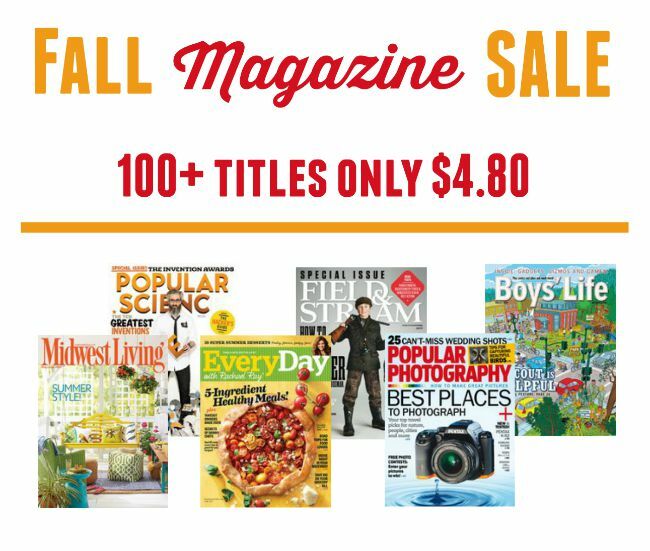 For 48 hours only, you can save BIG during the Fall Magazine Sale at DiscountMags. You’ll find over 100 titles on sale for just $4.80/year! Snag your favorite magazine or get one as a gift for a loved one. Click here to see the full Fall Magazine Sale! Sale ends 9/20/15 at 11:59 pm EST, so get them at this low price while you can!